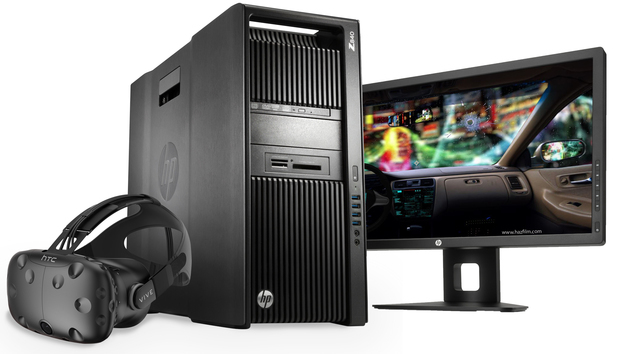 If your Mac isn't fast enough to edit 3D video, HP has a workaround to make it possible. HP's new remote graphics tool will allow Mac users to tap into the massive computing power of HP Z workstations, which can have up to 44 CPU cores. The Remote Graphics Software (RGS) turns the Mac into a remote desktop tuned for graphics. A "sender" plugin on the HP Z links to a receiver on the Mac, allowing the computers to share screens and applications. "HP is upgrading your Mac," said Christian Jones, worldwide product manager for remote desktop software at HP. RGS is based on HP's proprietary codec called HP3, which provides deep compression. HP declined to provide a clear outline of what Mac users will be able to do with RGS at different Internet and network speeds, but streams can adjust to the best resolution available, Jones said. HP's announcement is part of a campaign being waged by PC makers to draw users, particularly creative professionals, away from Macs. Apple hasn't upgraded the Mac Pro since 2013, and RGS will provide access to new video editing software on the Z. Other competing remote protocols include Teradici's PCoIP and Microsoft's RemoteFX.